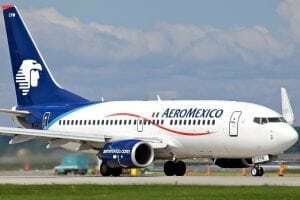 [Via Satellite 12-19-13] Aeromexico and Gogo have agreed on the principal terms and conditions relating to providing in-flight Internet and wireless in-flight entertainment service through Gogo Vision on at least 75 aircraft. The new service will use Gogo’s Ku-band satellite service for Aeromexico’s 737 aircraft, and Inmarsat‘s SwiftBroadband satellite service for their regional jets. Gogo expects both its connectivity service and Gogo Vision to be available to Aeromexico passengers on the second half of 2014. “Gogo is a strong partner for Inmarsat, both for our current SwiftBroadband service and for GX Aviation, our global Ka-band network, which is scheduled to be available in 2015,” said Miranda Mills, president of aviation, Inmarsat.